A big smile at the finish line. The end of the loop is in sight, one of many loops he rode. Nick Ybarra is the mind, muscle, and motivation behind the annual winter fatbike race in the North Dakota Badlands. The single-track trail uses the Long X trail and the Maah Daah Hey for a race track loop up to 11 miles long, with shorter versions available. Mountain bikes rigged as “fatbikes” at the staging area at the CCC Campground. It starts at the staging area on the west edge of the CCC Campground next to the Little Missouri River, south of Watford City. The first few pumps are hard getting started up the hill. Then comes the intermittent challenges of up and down — with a few easy coasts through flat spots. Scattered through the course are occasional flat spots that give riders a bit of an easy coast, leaving the Little Missouri River below and behind. This fatbike is ready to roll and rears its head, even though it has just completed the long loop and is heading to the staging area. They compare and boast of the elements of the loops they have made. The more loops, the greater the score. Oops. Even a tumble at the finish line can’t erase the smile. Organizer Ybarra said this year’s weather was a bit better than last year, but still, the reward of cold air exercise was plentiful. About 40 people had made the loops by noon, and more turned out as the day went along. The first rider started at 8 that morning, and the course was open until dark, about 5:30. The scoreboard is a collection of boards with the scores. Each loop is one hash mark on the board. Snowshoes and cross country skis were included in the looped race. One snowshoer said she had worked up such a heat, she had to go back to town to get dry clothes before making another round. The Poco Rio Frio is the first event of the year on the world-class single track Maah Daah Hey trail. The next event is in May. It’s the Badlands Gravel Battle. Riders cover 120 miles of 8000 feet elevation gain on the fast and rugged red scoria roads that crosshatch the Badlands. Later in the year are at least 6 other events of varying distances. You can find it all here at Experienceland.org. An organized effort to bolster the eroding Maah Daah Hey trail picks up the work that began about 20 years ago when the trail was created. The shifting topography and geology of the region mean the trail needs constant attention. A private group does the work for all to enjoy. Find out more here. Just curious: What would it take for you to try riding the Maah Daah Hey some time this year? Let us know, and we’ll see what we can do. You can stay up to date on Maah Daah Hey, races and events in the Badlands by following Beautiful Badlands calendar of events. It’s the most comprehensive site for all events in Western ND. 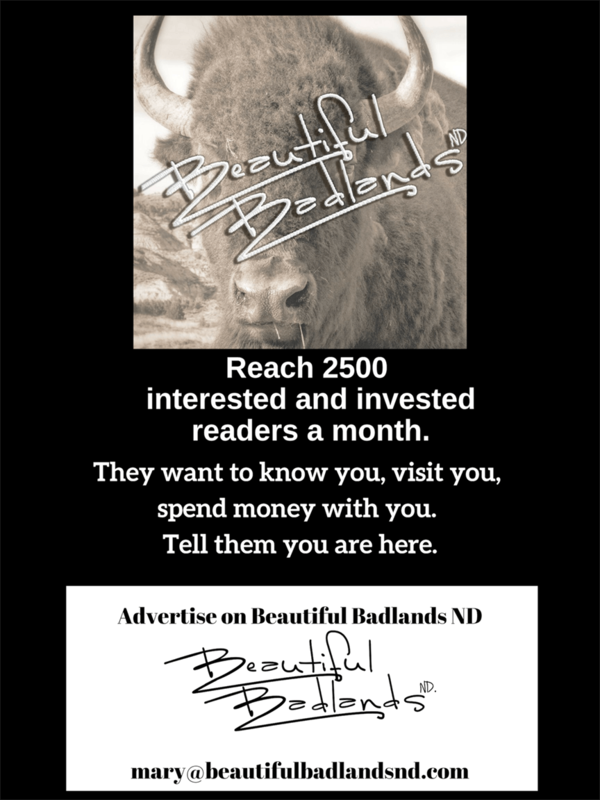 To get notified when a new article is posted on Beautiful Badlands — about twice a week — just add your email address above, top right. No spam. No sales pitches, just a note to let you know what the new article is about. Share this article with the handy “share” button above.